We are living in a crazy world people. You know this. I know this. So I’m not going to go into crazy detail about it but who would have thought twenty years ago that you could order something on a site called Amazon and it would appear at your door in two days. Mind blowing right? Well, this creation falls into the mind blowing crazy world inventions as well. 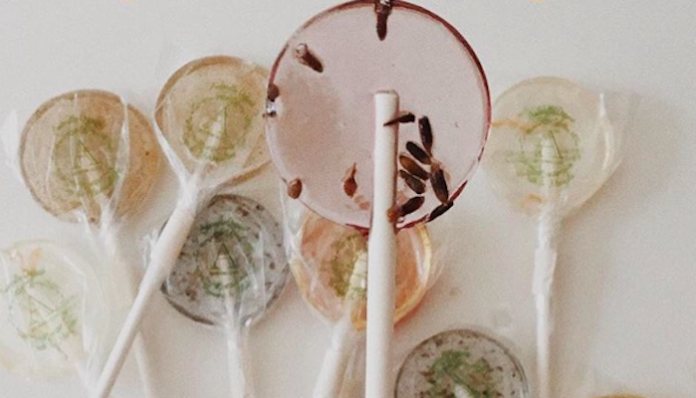 This magical company, Co-owned by Brennan Clarke and Taylor Morgan, created organic lollipops that you can plant and grow more lollipops. Jk, they didn’t do that. These organic lollipops are pretty freaking fantastic for a couple of reasons when you think about everything they have done here. Reason number one is that they made these things organic. Seeing as most of our candy nowadays is colored corn syrup mixed with some sugar and bent into some shape this is pretty impressive. Reason two is that they didn’t just give the public a good candy, they created a real candy that transforms into something greater. They made candy that, with the right care, will become a plant. They are giving people candy and plants at the same time. Now that you have all the options, all you have to do is decide which flavor you are going to start with. Remember this is an important decision because you are also choosing which kind of plant you want to raise as your own. Check out Amborella Organics’ website here!